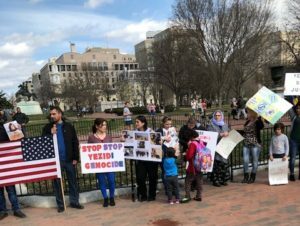 WASHINGTON, DC — A group of Iraqi Yazidis rallied outside the White House over the weekend to urge U.S. President Donald Tump’s administration to help them rescue the estimated 3,000 Yazidis who remain missing or in Islamic State (ISIS/ISIL) captivity and to protect their homeland in Iraq. With Yazidis yelling — “Trump where are you?” — in the background during Friday’s demonstration, however, Yousif Haskan, a Yazidi activist who helped organize the rally, admitted to Breitbart News that the Trump administration has done more to help the minority group than its predecessor. 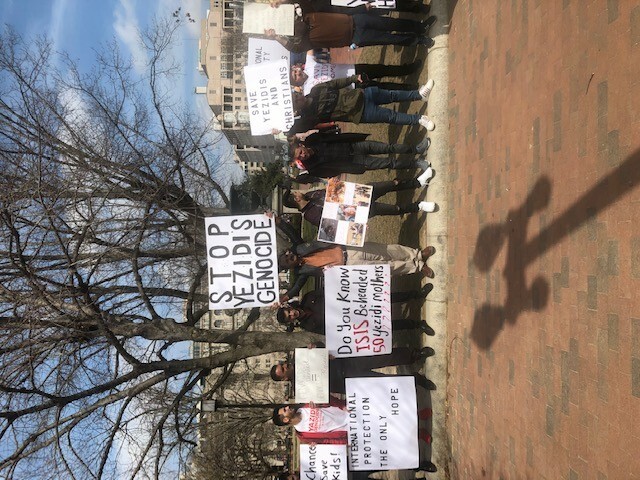 However, the USAID official provided Breitbart News with a list of nearly 40 planned, completed, and ongoing projects in the Yazidi homeland of Sinjar in Iraq, including efforts to help support “severely traumatized victims of ISIS through…comprehensive medical, psychosocial, and legal services and livelihood activities” as well as “improved sanitation facilities in healthcare centers” and other infrastructure projects. 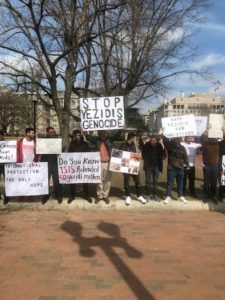 I’m mainly here for the Yazidis to bring more attention to the ongoing Yazidi plight. Me myself I’ve lost two members of my family — my father and uncle have been beheaded by ISIS. 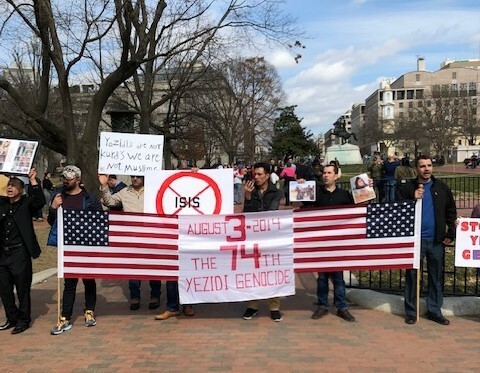 The Islamic State persecuted my family and friends they gave them two choices — convert or be killed,” Faerie Gawri Aldakhi, a Yazidi demonstrator, told Breitbart News. Note: The United Yezidi Community of America and Yezidi Human Rights Organization-International helped to organize Friday’s rally.